You will want to take a seat at the covered show ring to enjoy these astounding performers during the days of summer. 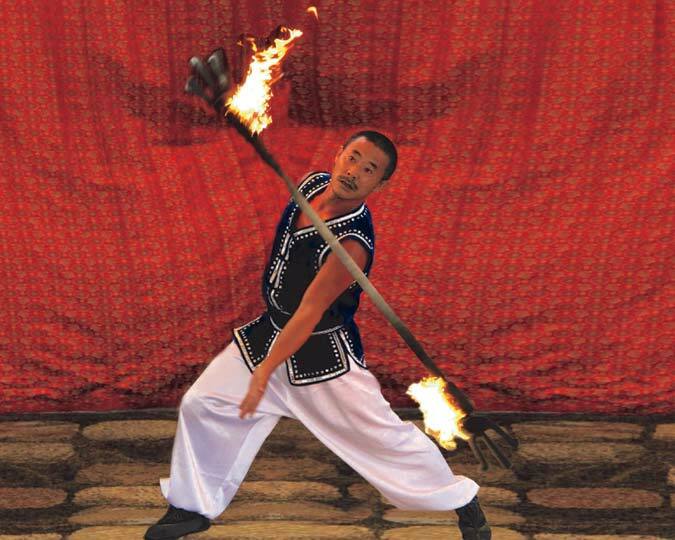 Yandong Chinese Acrobats perform the flying forks (performed for ten years by Yandong's father, Du Hahn, for the Emperor of China), foot juggling, ladder balancing, contortion and more! 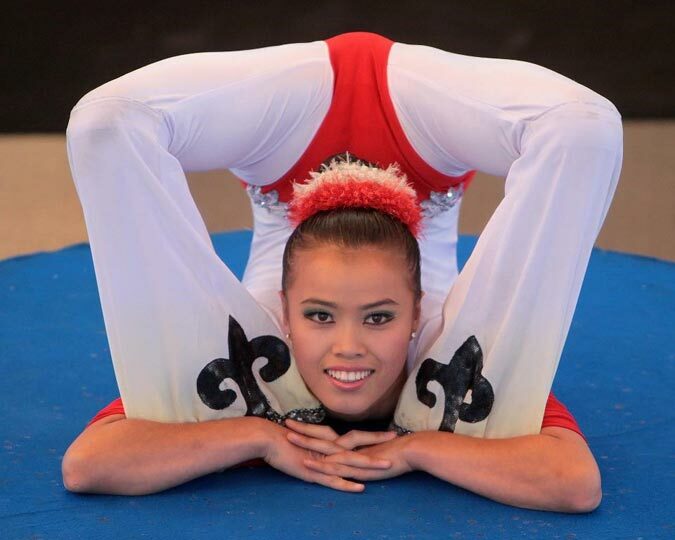 You will be amazed by the work of Jingxia and Ya Ting as they combine the skills of balancing and the flexibility of contortion into an amazing performance. 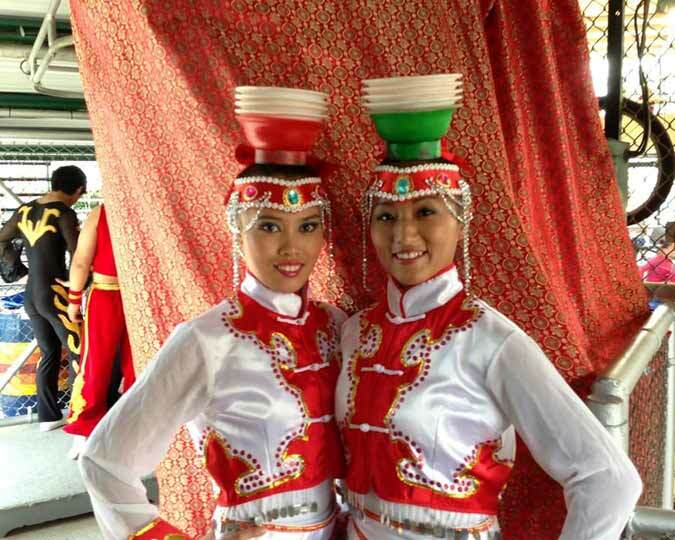 Chinese acrobats are taught movement coordination, how to step, how to move their hands, their eyes and their bodies. Audiences have been returning to Clark's for years to see what they will do next. One thing is for sure, they know how to please the crowd. This trio performs daily mid-June through Labor Day. See schedule for specific dates and show times.